The Giraffe Conservation Foundation (GCF) is the only NGO in the world that concentrates solely on the conservation and management of giraffe in the wild throughout Africa. Running a comprehensive programme across Namibia with a focus on giraffe conservation research and environmental education. Providing valuable financial support to Kenya Wildlife Service (KWS) and other conservation partners to conduct aerial surveys in northern Kenya. GCF’s Environmental Education Work Book for primary school students has been a very valuable resource for our KEEP programme in Namibia. Fundraising for World Giraffe Day to plan a conservation translocation of Nubian giraffe in Uganda. 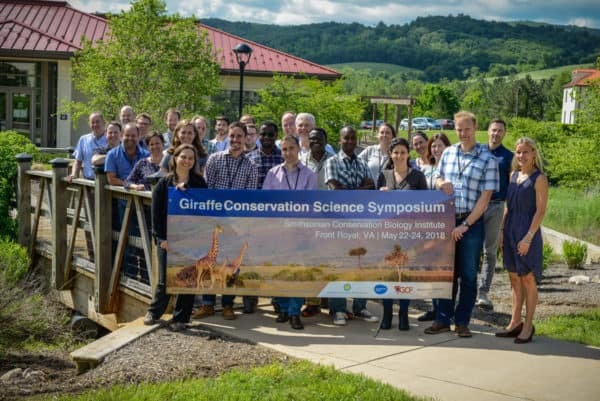 Organising and participating in the first-ever Giraffe Conservation Science Symposium. Undertaking the largest ever GPS satellite tagging of giraffe in order to better understand their spatial movements and habitat use in the wild. 10% of the sale price of this neckwarmer is donated to GCF. For further information about GCF, visit this page of the NGO. Learn more about the Giraffe, the animal printed on GCF neckwarmer. You can adopt a Giraffe from 5€/month, make a one-time or recurring donation, or buy a gift from the online store. 3% merchandising sales and others. Support the conservation of viable and existing habitats for giraffe. Identify key threats to giraffe in Africa and develop innovative ways to mitigate these. Plan, develop, implement and administer projects and programmes in co-operation with local communities and partner institutions. Maintain a close working relationship with the IUCN SSC Giraffe and Okapi Specialist Group (GOSG) to provide comprehensive awareness and technical support. Increase our conservation team to support current activities throughout all areas of Africa. 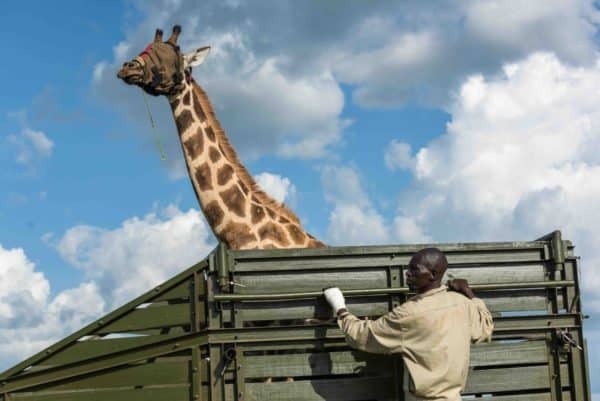 In partnership with the Uganda Wildlife Authority (UWA), undertake Operation Twiga II to help translocate more threatened Nubian giraffe across the Nile River to the south side of Murchison Falls National Park. Support UWA in developing their first-ever National Strategy for Giraffe Conservation in Uganda. Develop Giraffe Species Working Groups and Action Plans in Kenya, in support of the National Giraffe Conservation Strategy. 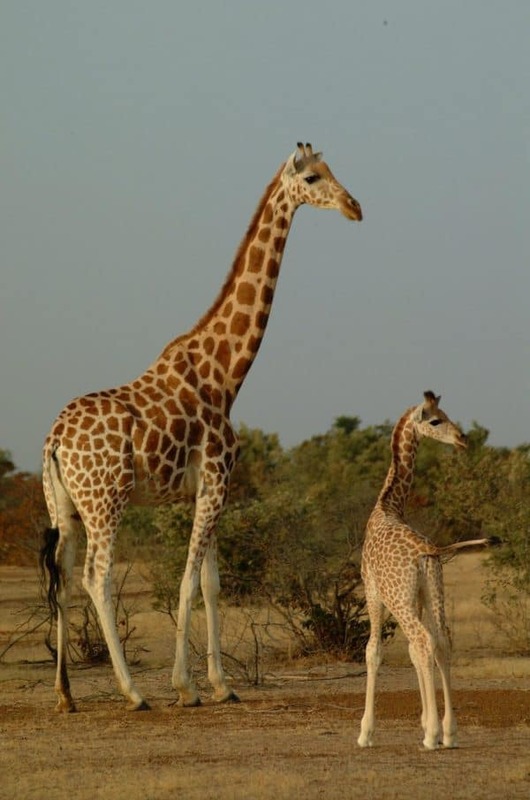 Increase conservation support for the Endangered West African giraffe in Niger. For World Giraffe Day: raise awareness and support for Masai giraffe in Kenya and Tanzania. Advance Reticulated giraffe conservation and monitoring across northern Kenya and Ethiopia, in collaboration with local and international stakeholders and partners. Continue long-term giraffe conservation research in north-western Namibia, in close partnership with community conservancies. Enable local and international partners to integrate giraffe conservation in their broader conservation goals. 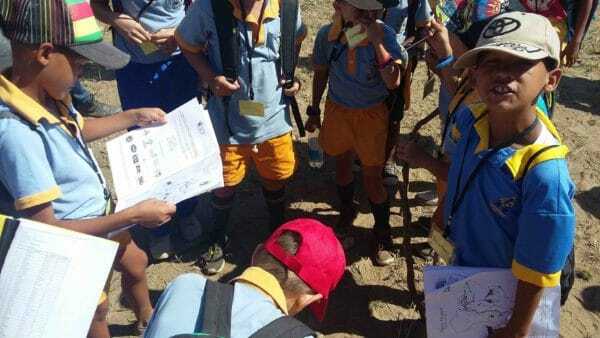 Raise awareness for giraffe conservation at presentations and events internationally, including Australia, New Zealand, Southern Africa, East Africa, Europe and USA. The genetic analysis shows that there are four highly distinct groups of giraffe, which apparently do not mate with each other in the wild. 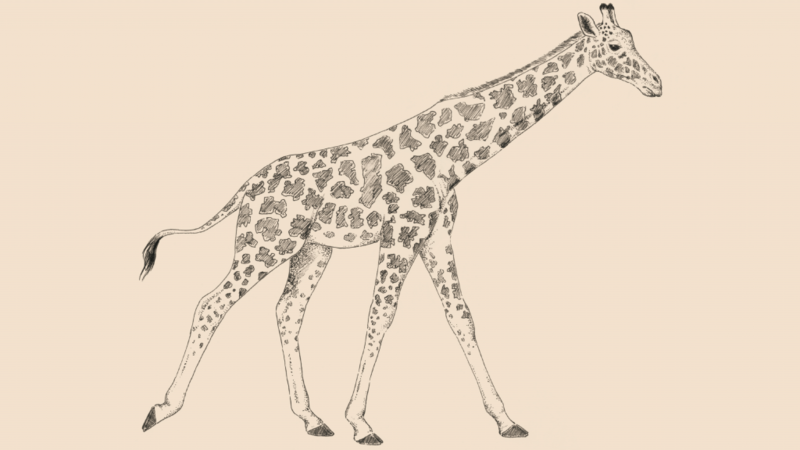 Up until now, scientists and the world had only recognised a single species of giraffe, made up of several subspecies. 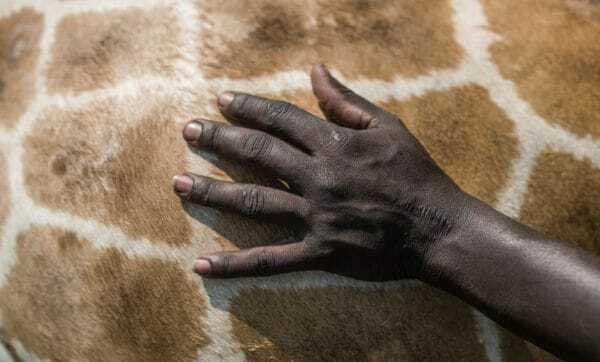 Award winning BBC/PBS documentary “Giraffes: Africa’s Gentle Giants”. More than US$ 100.000 were raised on World’s Giraffe Day 2016. 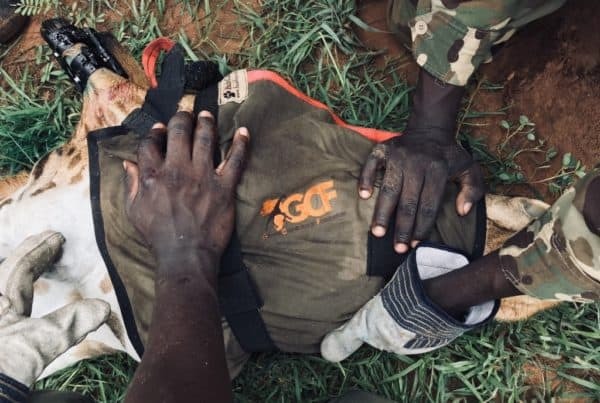 The donations have already been put to good use by supporting rangers in northern Kenya, which includes the provision of much-needed monitoring equipment. GCF provided grants for six conservation projects through Africa in 2016. GCF has developed an Africa-wide Giraffe Strategic Framework as a ‘road map’ to guide giraffe conservation activities. Giraffe are listed as Vulnerable to extinction on the IUCN Red List of Threatened Species. Giraffe numbers in Africa have plummeted by a staggering 40% over the last 30 years. We estimate today that there are fewer than 100,000 giraffes remaining in all of Africa.